Last week was a doozy for us- Sky and Fire both had the flu and having sick kids at home meant that I just didn't have the time or the energy to do the kind of cooking that I have been. Happily, all the greens were so fresh that they were good until I had time to cook them this week. My CSA share from week 5 was pinto beans, onions, navel oranges, arugula, braising mix, chinese cabbage, and hakurei turnips and the share from week 6 was arugula, cilantro, chinese cabbage, hakurei turnips, navel oranges, salad mix, toscano kale, and red potatoes. 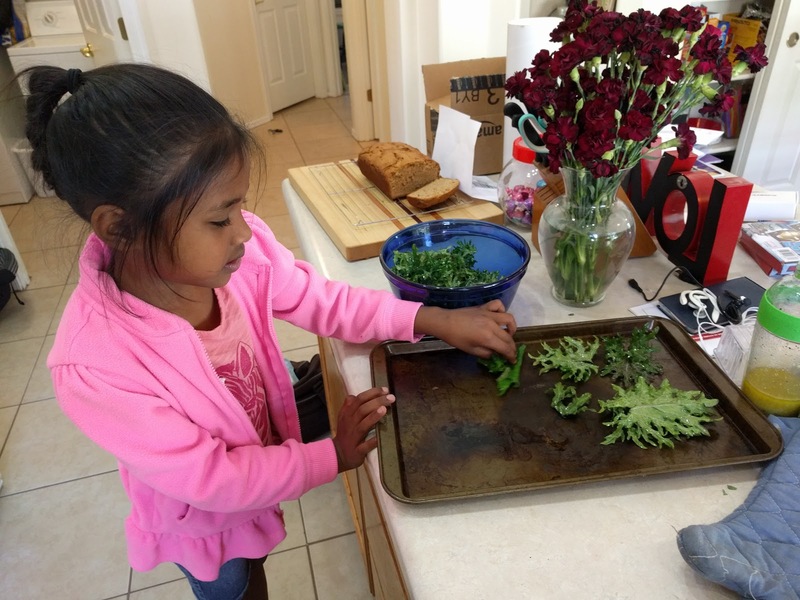 We used the kale up right away making kale chips. They come out perfectly crispy and not too greasy with this recipe. This was a good recipe for using large quantities of arugula but if I made it again, I would blanch the leaves before adding them to the quiche. A quick dip in boiling water and ice water would have kept them from turning bitter like they did when I used them this time. It also would have kept all the leaves from floating to the top, making the quiche more visually appealing. 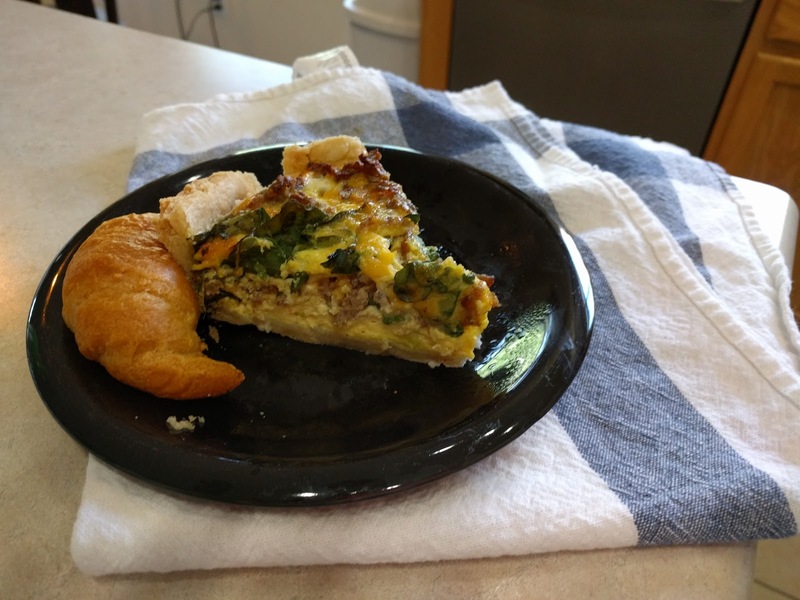 For this recipe, I was betting on the sharp bite that I got when I made the quiche to play off the swiss cheese and the nectarines. 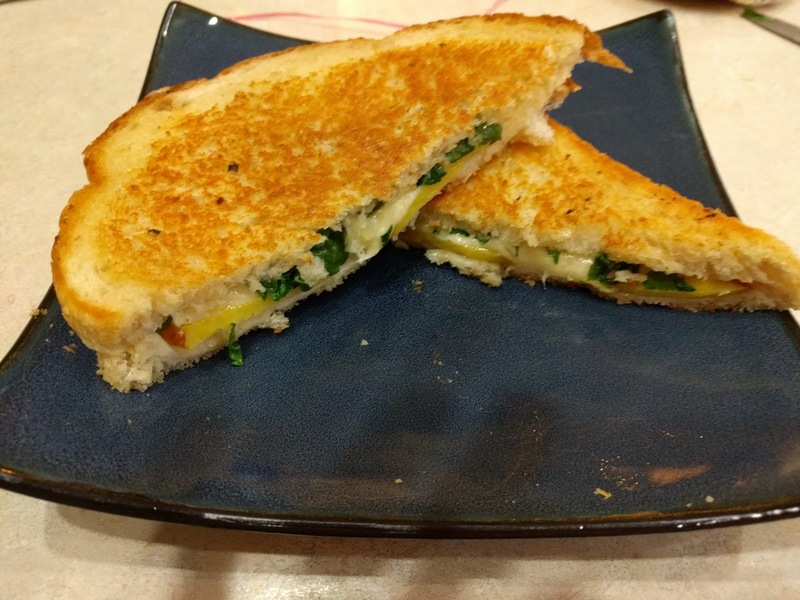 I only used one thin layer of arugula in the sandwiches and I think I'll really layer it on next time to make sure that you can taste it in every bite. I found this recipe for the flank steak and this one for the turnips. 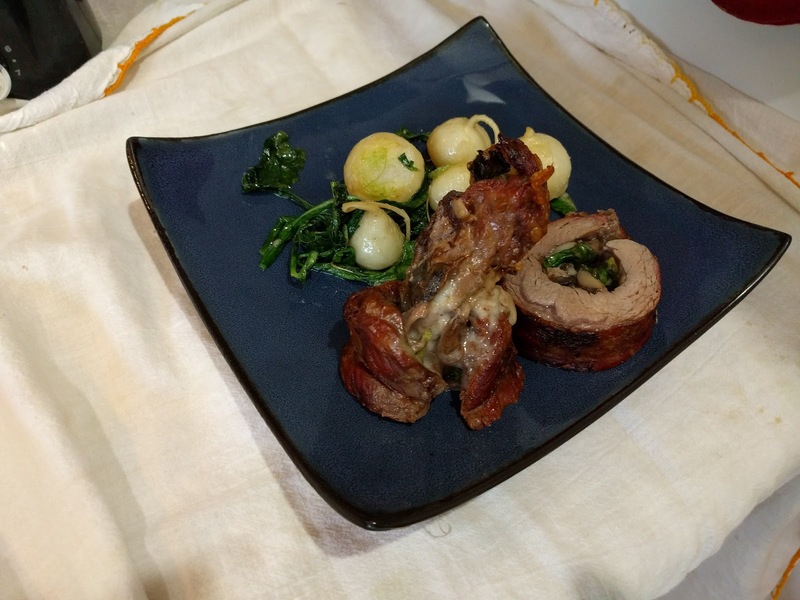 D made this recipe and had a little trouble getting the meat as thin the recipe recommended which meant that some of the yummy stuff in the middle fell out when we rolled it. We also tried cooking it in his new smoker so it had a great flavor but it did dry it out a bit. 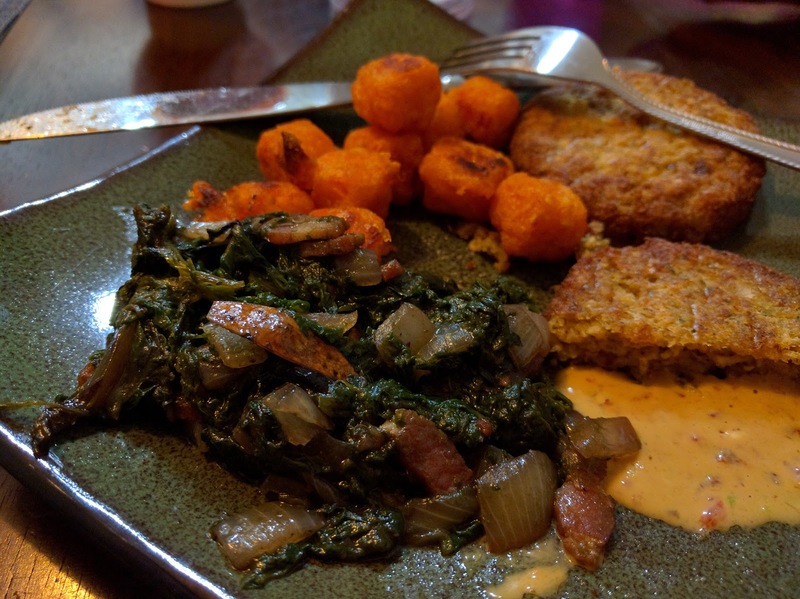 The turnips were delicious and eating them with the greens like the recipe suggested was a great sweet/bitter flavor combination. I used Ree Drummond's recipe for beans again and then made chili with them. I added ground chicken breast, diced fire roasted tomatoes, and smoked red and green peppers. We don't have any chili powder yet so I used some Tex-Mex chipotle seasoning that we did have. It didn't make it spicy but it did give it a extra flavor boost. 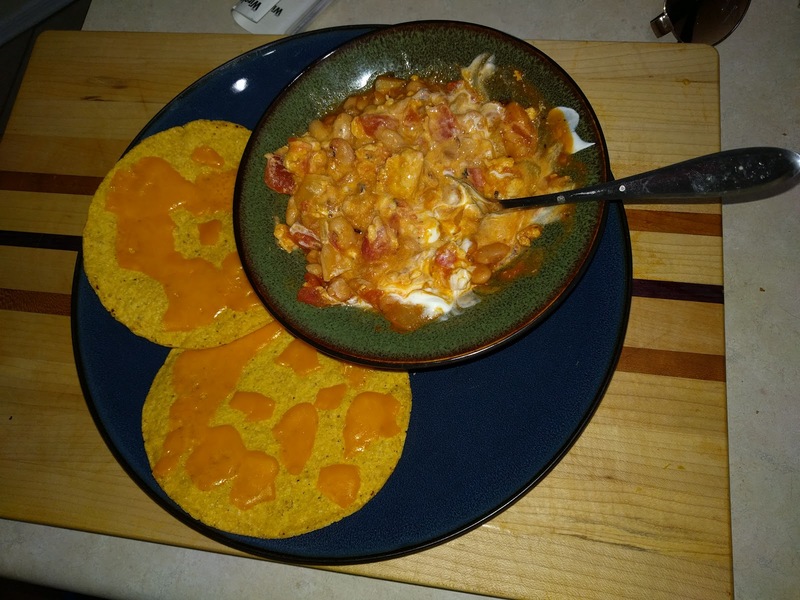 Sky suggested eating the chili with chips (she was imagining a Frito pie) so I melted cheese on some leftover tostados and let the kids break them into pieces and use them like spoons. 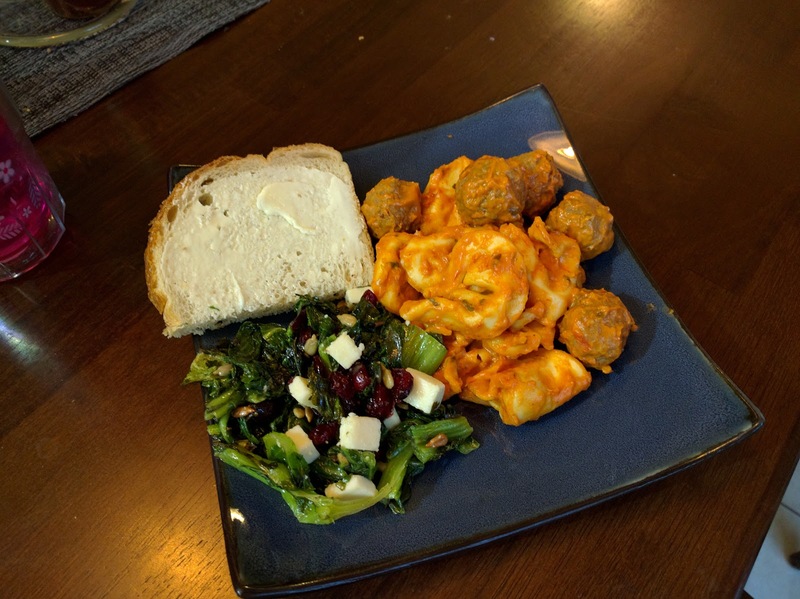 D was out of town when I served this recipe and I expected some push back at the dinner table about it but once I got everyone to "just try one bite", they gobbled it up. 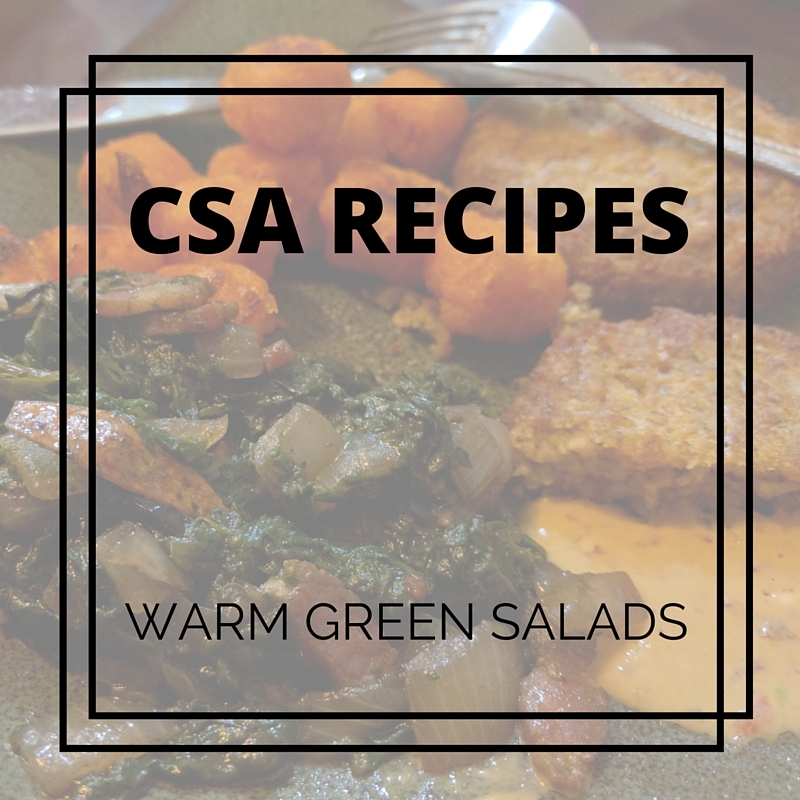 I found this recipe the first time we got braising greens in our CSA box and have been waiting for the right time to use it. I wish now that I'd made it sooner because it was so good! I only gave the kids one tiny bite each for them to try but Sky actually cried when she found out that there wasn't any more for her because D and I had eaten it all. She made me promise to make it for her again so I'll be trying it this week with arugula. After the smashing success of the braising green salad, and considering how much my kids love dried cranberries, I thought for sure that this salad would be another hit. All the kids tried it but refused to eat any more after that. I used this recipe to roast the cabbage but I think I'll try a different one next time. The garlic taste didn't come through and there was so much oil on the cabbage that I had to blot it on paper towels before I put that salad together. The cabbage turned a little bitter after it was cooked. It was a good counterpoint to the cheese and cranberries but stronger than I would have liked. One of my recipes from these two weeks was almost a complete flop and that was the beef and cabbage stew. I tried making it in the crock pot so that the cabbage would pick up the flavor of the beef but it turns out that long slow cooking isn't the way to go with cabbage. Even the ribs turned soft and mushy. The rest of the stew was good so at least I still had a dinner to put on the table but I'm going to stay away from crock-pot cabbage recipes for now. D and I have a rule that if one just can't eat what the other has made, we'll order a pizza. So far we've had to do that twice (when D made something that was way too spicy for me to eat!). Have you had a recipe fail? How do you handle it?